Buying military-grade German firearms appears to no longer be a problem in Iraqi Kurdistan, German media report. 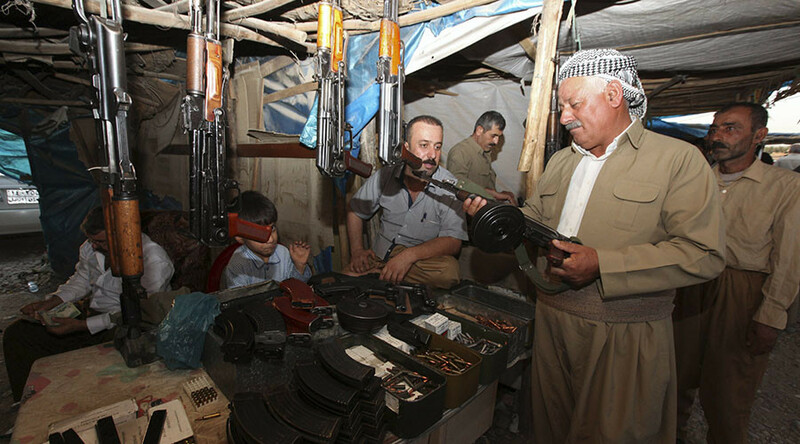 Assault rifles and pistols supplied by the Bundeswehr to Kurdish Peshmerga militia to fight Islamic State have surfaced at local weapons markets at an attractive price. NDR and WDR, German public broadcasters, reported Thursday that several Heckler & Koch G3 assault rifles and Walther P1 pistols with the “BW” engraving had been found at arms markets of the cities of Erbil, the capital of Iraqi Kurdistan, and Sulaymaniyah. 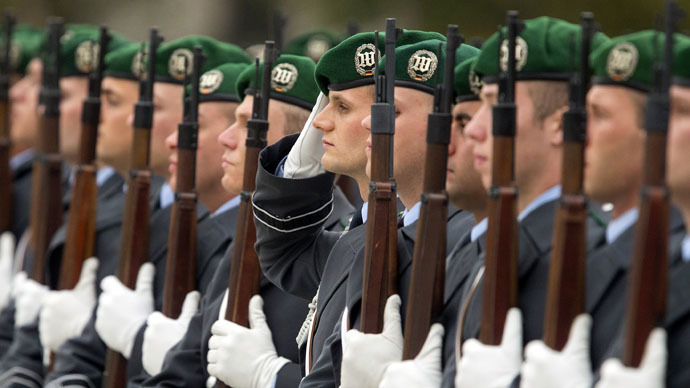 BW apparently stands for Bundeswehr, or Germany’s armed forces, according to the report cited by Handelsblatt newspaper. The G3 rifles allegedly produced in 1986 are sold at $1,450-1,800; a P1 pistol in factory package has a $1,200 price tag, the report said. Germany’s Federal Department of Defense reported that some 20,000 G3 rifles and 8,000 P1 pistols from Bundeswehr military depots were supplied to Kurdish Peshmerga militia to fight Islamic State (IS, former ISIS/ISIL). Speaking in Berlin on Friday, Defense Ministry spokesman Jens Flosdorff confirmed that at least two of the weapons photographed at Iraqi market came from a German arm delivery to Peshmerga in 2014. 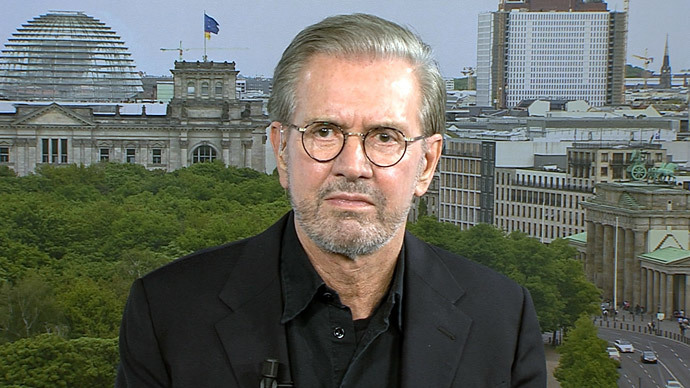 Yet Flosdorff denied any “systematic misuse” of weapons delivered from Germany has taken place, Deutsche Welle reports. With notably large number of weapons in the war-torn Iraq, no one could guarantee a complete control over weapons supplied, Flosdorff said. 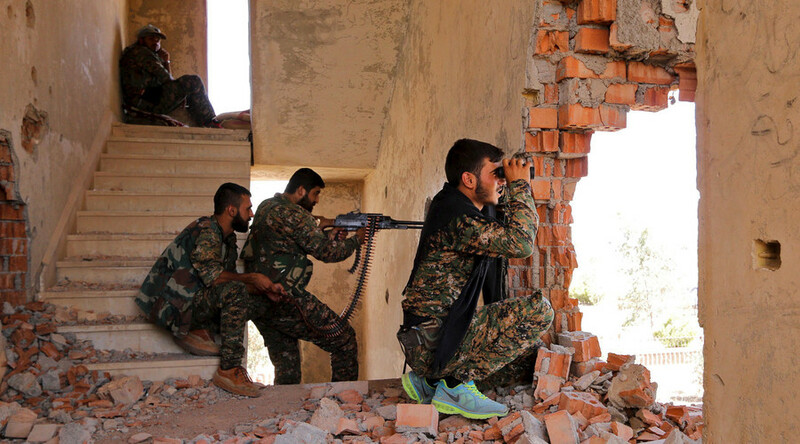 According to NDR and WDR, some of the Kurdish fighters have opted to sell the new firearms having not received any pay for months. In case there is evidence that German weapons are falling into the wrong hands, this must be cleared up quickly, the spokesman for the Foreign Ministry, Martin Schafer, said. "We have asked the representative of the regional [Kurdish] government to come to the foreign ministry," spokesman Martin Schaefer told journalists on Friday as quoted by Deutsche Welle. "We expect the Kurdistan government and Peshmerga officials to work with speed and determination to address these accusations." If such practices were confirmed, "they must stop immediately and completely," he said. The security policy spokeswoman of the Greens parliamentary group, Agniezka Brugger says her party’s fears have now been confirmed. “The Iraqi people do not need more weapons, but extensive political and economic support,” Brugger said as quoted by NDR. It is believed that the whereabouts of the supplied weapons will make into the agenda of the meeting with the representatives of the Kurdish regional government in Berlin. The Kurds have been summoned to Germany largely because of reports about the alleged destruction of houses belonging to Arabs. So far, Berlin has not called off supplies of firearms to Kurdistan, with the next shipment of German arms to the Peshmerga being planned for the end of the first quarter of 2016.